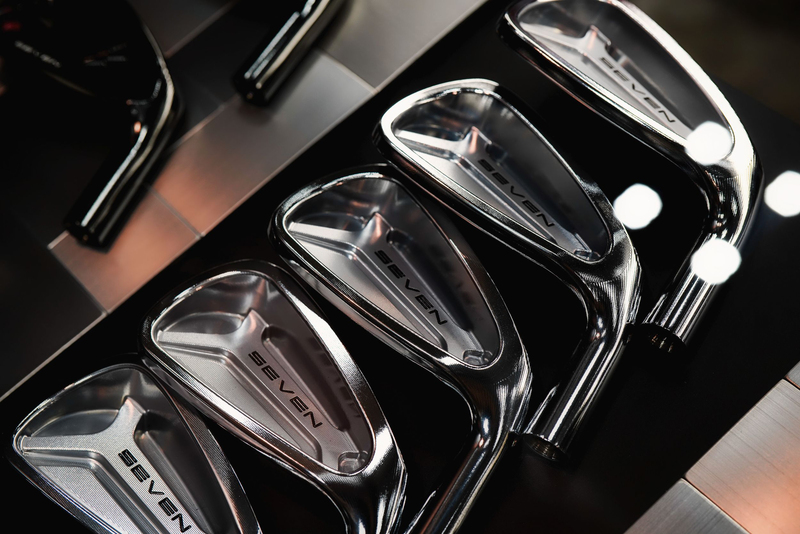 For the first time, SEVEN GOLF had a booth at the Japan Golf Fair with all their products front and center showing off what is easily the finest single piece forged irons and milled putters in the industry bar none. 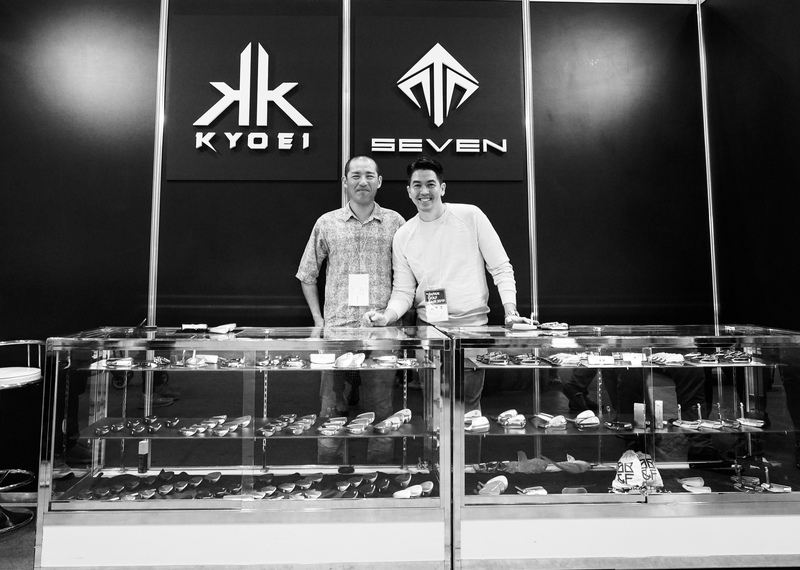 The SEVEN booth was shared with KYOEI GOLF and together was easily and by far the most crowded of any component brand all 3 days of the show! 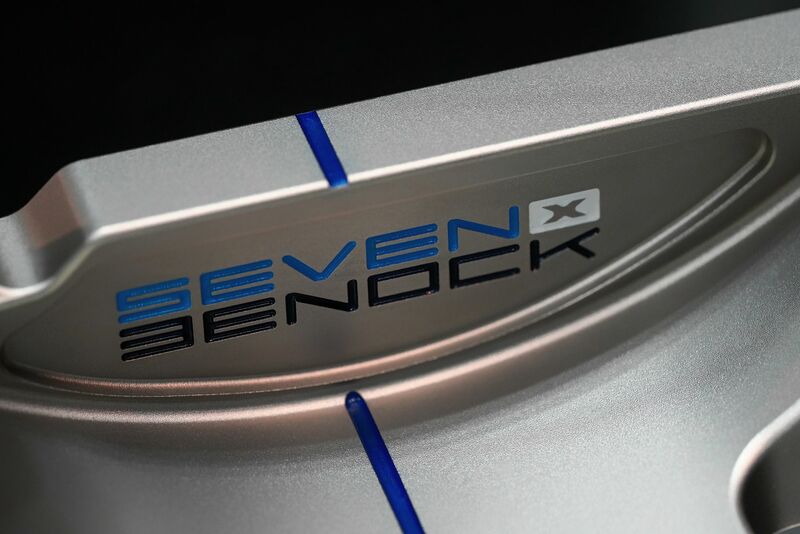 When it comes to performance, materials, manufacturing capabilities, technology, feel and design there isn’t another brand that comes close in single piece forged iron technology and ultra high-end putters. We were surprised that we could not post photos of all their new products until cleared to do so. One of those products is the PIRATA which means PIRATE in Italian and while SEVEN allowed us to post sole pics we could not post the back face until next week which we will for sure do and post an update in the blog. Let me just say the craftsmanship and attention to detail is unlike anything we have ever seen before. The detail of the pirate’s skull plus the camouflage milled not only on the sole but over the entire body is exquisite. 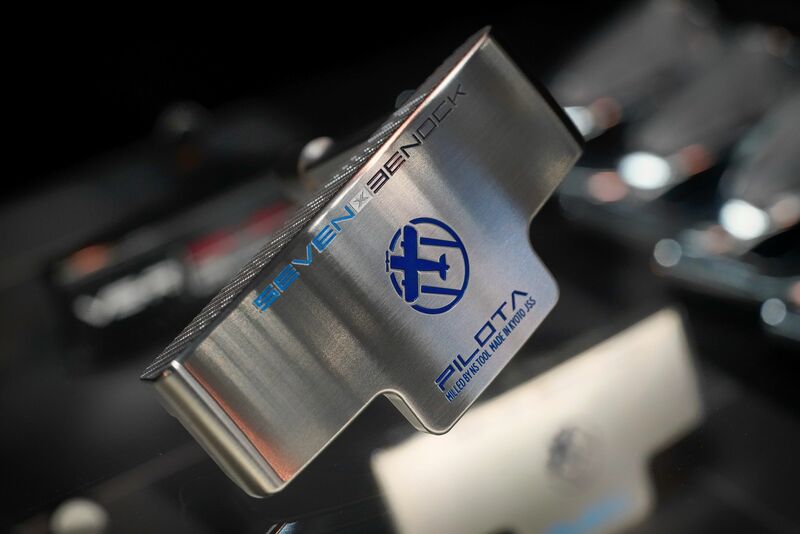 Finally, SEVEN has a full range of putters that can stand side by side with their 100% milled CNC irons. And now have a look at the all-new PILOTA which is named after the Italian word for Pilot. 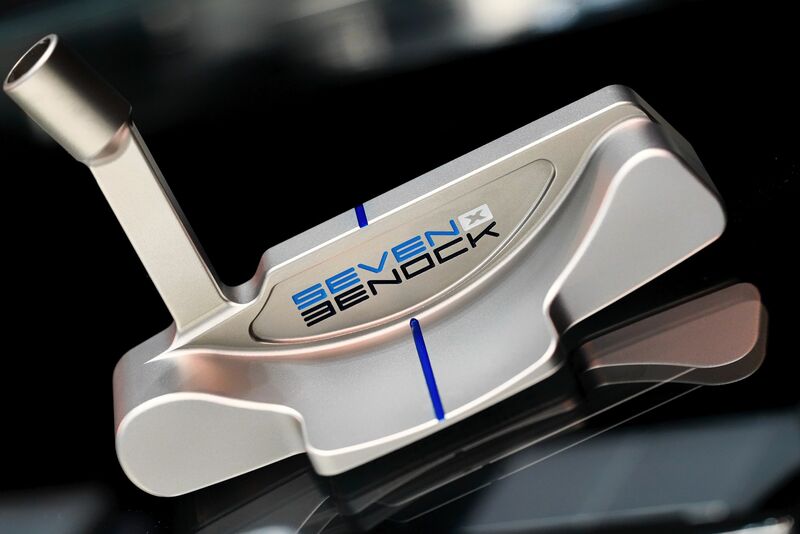 This putter is insanely beautiful and features some of the finest curves we have ever seen. Let me also mention that both the PIRATA and PILOTA are made of JSS which is SUS 3136L. 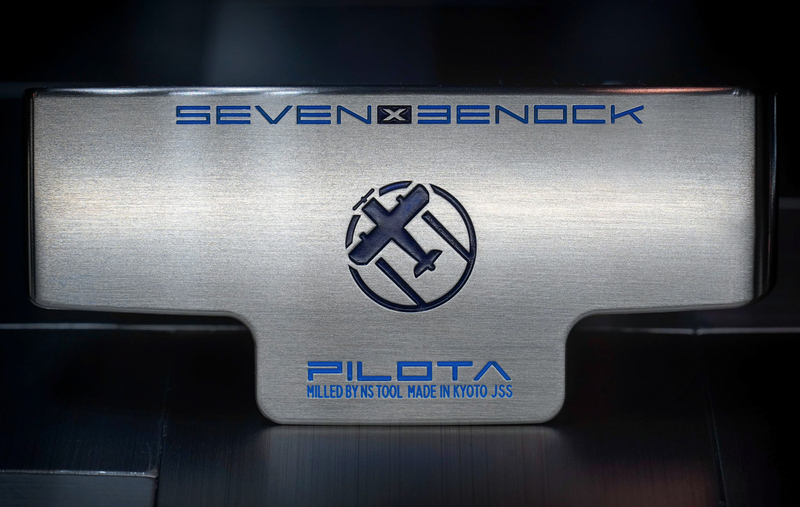 The absolute finest stainless steel for putters without a doubt and a + $700 option that can be added just like the putters seen in these photos (note the small text JSS on the sole print). One of the craziest things about Benock manufacturing is that none of the curves or edges you see in these photos are polished by hand. 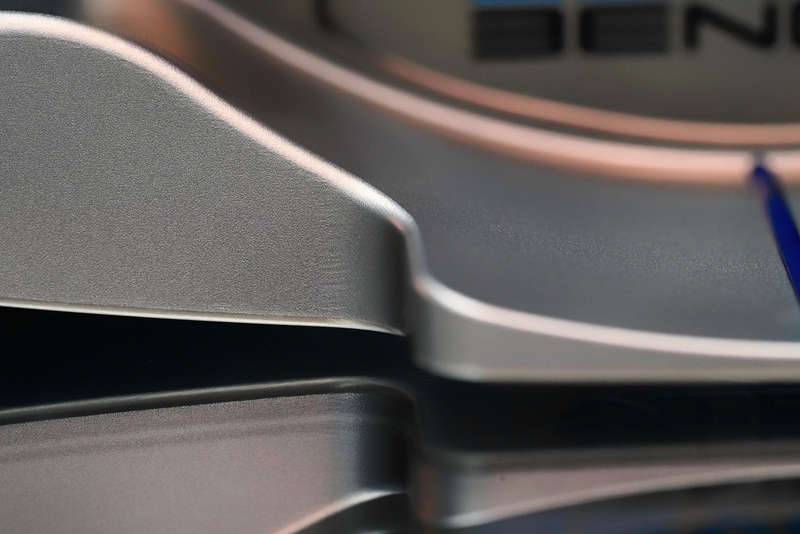 No other company can produce edges like these via milling alone. 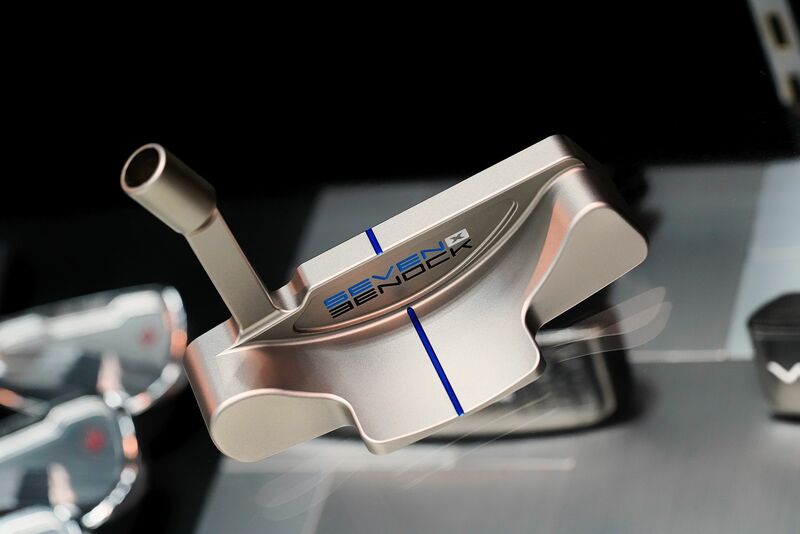 Other putters are milled to a sharper edge then hand polished down whereas Benock uses the power of NS Tool and Okuda-san’s CAD work to make every edge flawless. The recipe is Japanese DMG Mori milling machines that utilize German controllers and Italian CAD software, then take it to the absolute extreme with the parts and support of NSTOOL inc and you have Japan’s monozukuri, the art of manufacturing and craftsmanship. Okuda-san’s background prior to making putters is he is the inventor of the uni-bloc technology and manufactured mass sensors in the cell phone industry which produces to 1/100,000th of a hair accurately. I dub this “alien technology” as no golf club maker has the capability or know how to accomplish this level of perfection. A 7kg ingot accurately milled to exact design specs using a 5-Axis machining. Metal is material that can easily deform. 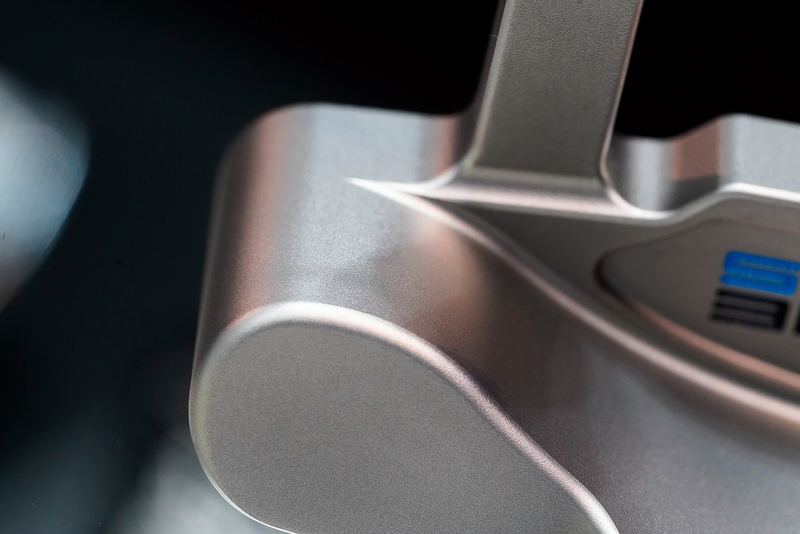 Applying external force can create internal resistance within; in order to create an ideal putter, a high precision milling method is essential. 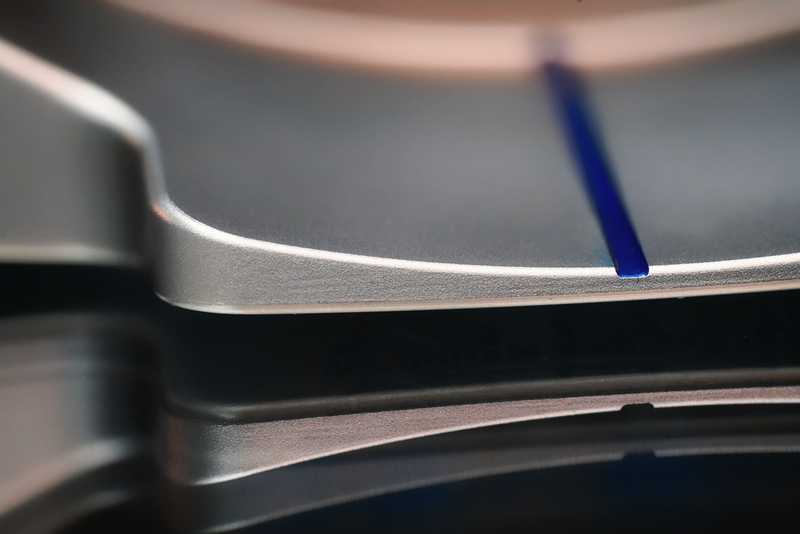 Benock utilizes the same ultra-precision micro-milling process used to manufacture micro metal molds for Electronic devices. By initially milling all except for the bottom plane, Benock has developed a 1 piece 5 plane milling process which does not retain residual stress and allows Okuda-san to accurately mill the material to exact design specs by precisely controlling the stress caused to the material during the milling process. They have created putter heads that can maintain the design specs over time. From design, programming to manufacturing, all of the processes are performed at the Kyoto factory. The new PILOTA and PIRATA puttera are not yet available but will be soon. 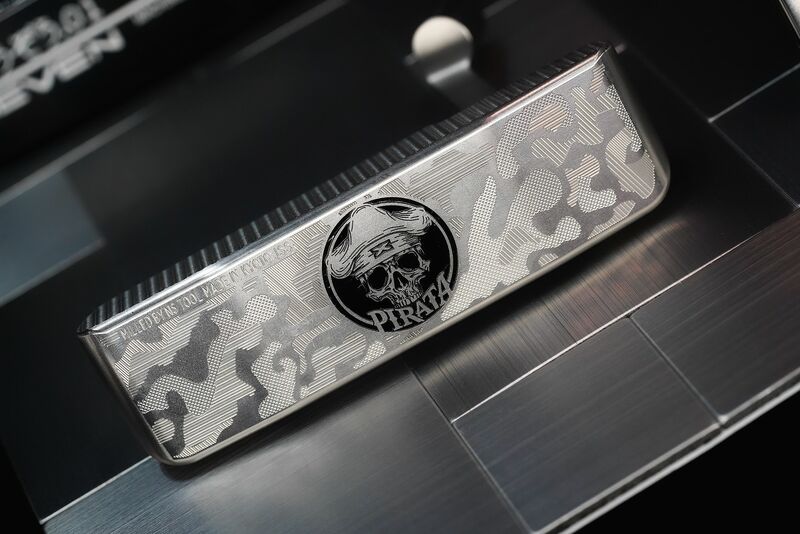 You may spec and pre order yours by contacting [email protected] in JSS SUS3136L the PIRATA will retail at approx $3400 usd while the PILOTA should be coming in around $2600. Minus $700 by going with standard J.I.S SUS303. 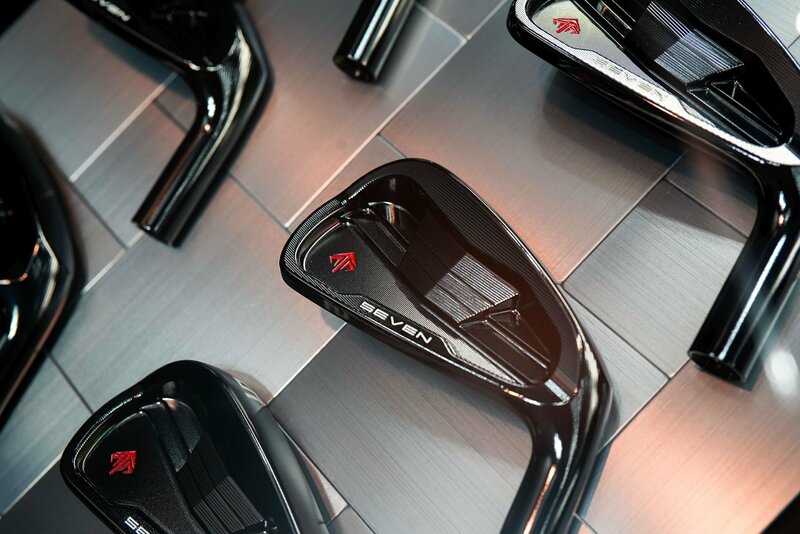 And of course let’s not forget the SEVEN CB and MCB which for 2019 have undergone some subtle upgrades in finish adding a double nickel layer below a chrome finish for improved feel while adding bead blast in the cavity of the CB for more contrast with various types of paint fill. Slight updates but none the less signs that the company is always seeking to improve some already seriously amazing clubs.